I bought this badge primarily as it had a different box to other London Hospital badges I own, and had dates of training which predated the date of the London Hospital badge's first date of issue. Researching a name on a badge has led me to research many interesting aspects of the history and development of nursing, and hospitals, alongside discovering a little more about the person who was awarded the badge and wore it. Dorothy entered the London Hospital on September 12th 1915, aged 29, her archived records state that she had been a children's nurse, but did not say where, when or if she had trained, but because of this she did not do any Preliminary Training School and entered straight into the hospital. Her patients are recorded as being large proportion of soldiers; the London took in the first injured soldiers of WW1.In the first two years, Dorothy spent at least 8 months nursing wounded soldiers. Other nursing experiences included ophthalmology, neonatal care and a patient undergoing salphingo-oopherectomy. In 1917, she developed German measles whilst at home, requiring a small amount of sick leave. Dorothy completed her massage training from October 1919 - January 1920; massage training was sometimes offered to nurses on qualification. In 1894, four nurses started the Society of trained Masseuses', the forerunner of today's Chartered Physiotherapy association. 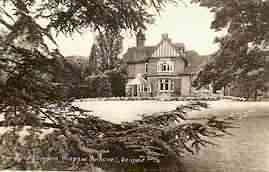 After Dorothy transferred to the Hospital Staff, she became Holiday Sister in May 1925 and was promoted to Sister Ophthalmic Outpatients from October 1st 1926, remaining there until October 31st 1934, when she resigned to go as Sister in Charge of a London Hospital annexe, The Croft Home in Reigate. It is thought that she moved back to Reigate because of family connections. * It is thought that her father was Charles Jortan, dying aged 60years in 1918, his wife Sarah died in 1920 aged 64 years. * Miss Gertrude May Littleboy. A.R.R.C. was Matron of The London Hospital from 1931-1937, having worked there continuously for 30 years since her probationer training. Through various archives, Dorothy was found living in a nurses' home in Whitechapel in 1921, 1923 and 1927; but the records did not specify exactly which nurses home. (5) Dorothy remained as Sister in charge of the Croft home, Reigate for 14 years, retiring in 1948 aged 64, after 33 years service to The London Hospital. 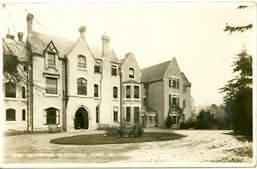 Croft Home: This photo predates 1919, as the Home, from 1880, was known as South Park or Mrs Kitto’s Free Convalescent Home. Mrs Kitto was the wife of Revd John Fenwick Kitto who was the Vicar at St Mary’s, Whitechapel, and Rector of St Dunstan, Stepney. 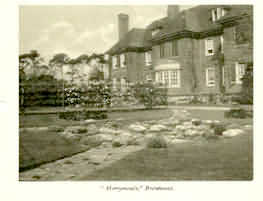 In 1919 when her property was given to The London Hospital, they renamed it The Croft Home, it closed in the 1960’s. 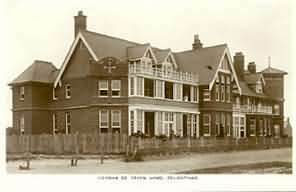 Herman de Stern Home, Felixstowe; set up by Miss Walmsley (Matron at The Royal Orthopaedic Hospital, former theatre sister at The London) in 1901. 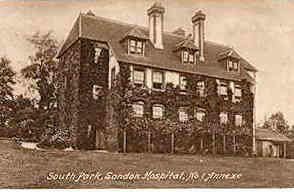 · Linden Hall, Cromwell Rd, Kensington- Hostel, for Nursing and other staff. · Marie Celeste Home, Woodford. 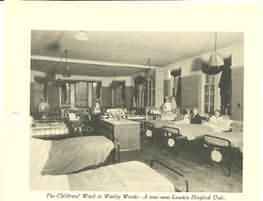 · Woolmer Park Maternity Home,-used during WW2 to evacuate maternity patients too. · Zachery Merton, Banstead, Surrey. Unknown nurses and period, possibly WW2. 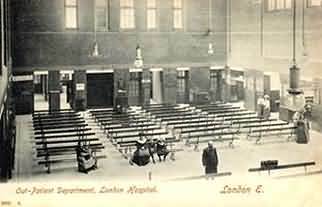 · "The Workhouse"; North Beds and South Beds Hospital, Hitchin Hertfordshire. In 1980, I remember women, post hysterectomy looking forward to their two weeks convalescing away from their families, by the sea in Essex. Dorothy's date of birth recorded in her London Hospital staff records is September 4th 1886, but there is no trace on online sites of the birth of a Dorothy, only Daisy Elizabeth . Daisy is born in the same year and correct quarter as Dorothy's given date of birth. It may be filed incorrectly because of unusual spelling of this surname -there is however a family of 's: six children, all mainly born in Reigate in that period. The eldest child is Daisy Elizabeth ; perhaps she changed her name? All six children were baptised at the same time, Boxing Day December 1897. Dorothy did move back to Reigate in 1934, so perhaps she was moving back in order to see her two unmarried sisters; one other sister had died aged 15years in 1905, and another married. Rosa the sister who married lived in Cheshire, which is where both Dorothy and her brother died, after Dorothy's death in 1960, this remaining sister Rosa was the only child alive. Her sister Flora, also recorded as a nurse on a passenger list, left probate, on her death in 1957 to Dorothy E ; the will would need to be obtained to establish any kin. Dorothy's will might give more information about her family, as also might her death certificate. No family have been traced so far, and therefore there is no chance at present of finding her picture. In order to establish if Dorothy and Daisy are the same person, obtaining Daisy's birth certificate would show her parents names, and then obtaining her parents death certificates might , if lucky show Dorothy's name registering their death/s. 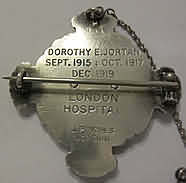 Dorothy's hospital badge was bought from a seller in Northern England, where she died; but this may have no relevance as her badge might have changed hands several times since her death. 1. 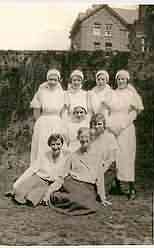 The Royal London Hospital Archives, RLH/N /1/22, The London Hospital Register of Nurse Probationers, no.22. 2. RLHA, RLH/N/5/32, The London Hospital Register of the Private Nursing Institution, No.32. 4. RLHA, RLH/N/4/6: London Hospital Register of Sisters and Nurses, No.6. 8. The London Hospital Illustrated-250 years. Batsford, 1990. 9. http://www.nationalarchives.gov.uk/records/research-guides/change-of-name.htm, accessed 31st December 2013. 10. J. Evans cited in; T. Shepherd, 'From Ragamuffins to Royalty, the private Diaries of an Edwardian Nurse', Bloomington, USA, 2012. 6-13. Grateful thanks and Copyright, Karen Harris. Will Burgess, for proof reading, editing, encouragement and uploading (onto S.O.N), the archivists at the Royal London Hospital Archives and lastly but not least my very supportive husband, Harry.